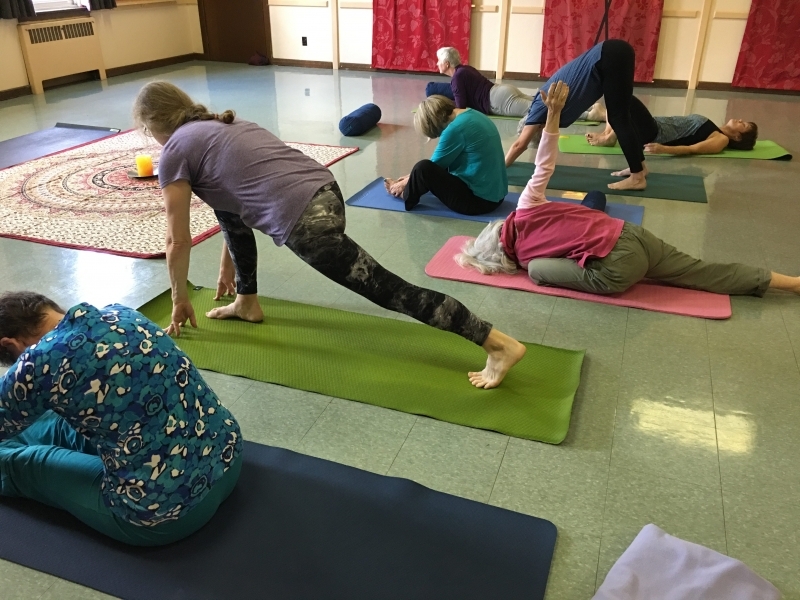 The Feldenkrais Method is a system of exercises creatively designed to subtly challenge the body while exploring new movement options; gain knowledge about habitual movement patterns and learn to use the body with greater ease. Movement is an essential part of our life and offers the perfect access to our brain’s ability to be creative and imaginative. Understanding how movement, attitude, and action affects us and how we relate to ourselves and others. It matters how we move! This evidenced based program teaches, through practice, how to stay grounded, calm and compassionate when stresses get high. 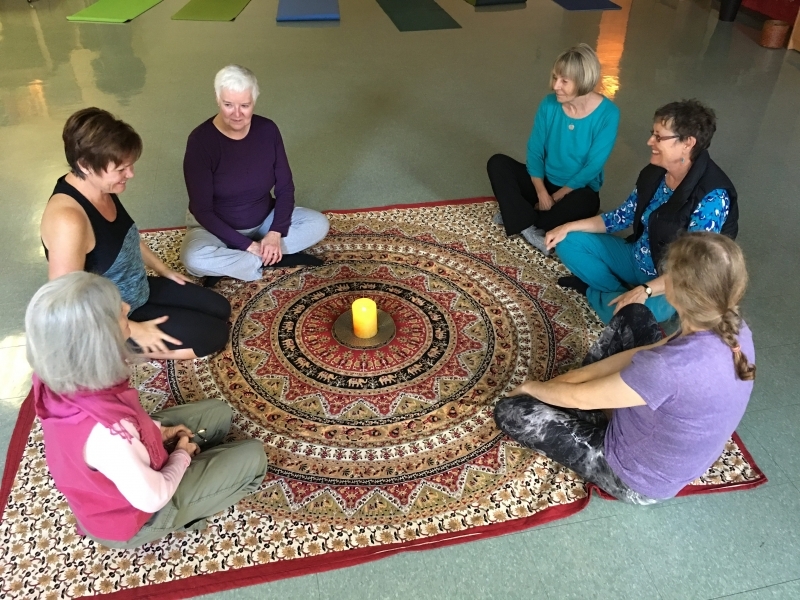 Studies show that participants who complete the program have improved focus, attention and ability to sleep, as well as decreased levels of pain, anxiety, anger and stress! This course is great for folks who are working with chronic pain, concussion symptoms, insomnia, high levels of stress, parenting/teaching/caregiving struggles, and/or frustration with the world. Designed for mainstream people leading active lives. 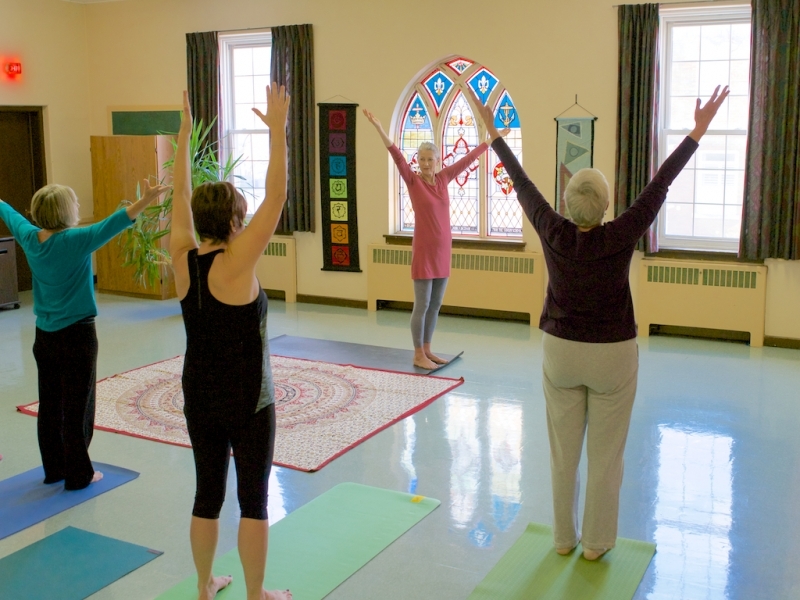 Gentle Flow Yoga is a Yin/Yang vinyasa style of yoga suitable for beginners and experienced yogis. 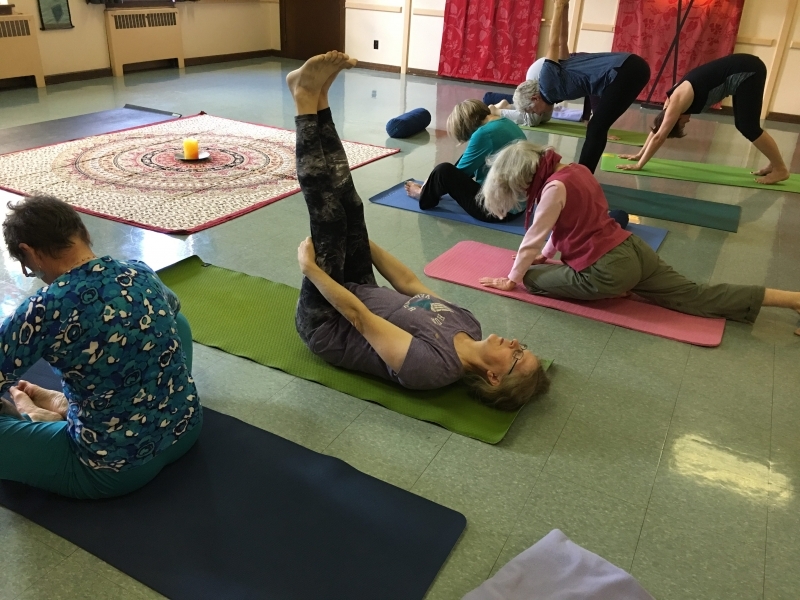 Yin yoga activity is slow, steady, and often stationary; Yang yoga activity is mobile, builds to an apex before calming down, and requires a certain level of core strength requiring appropriate effort. 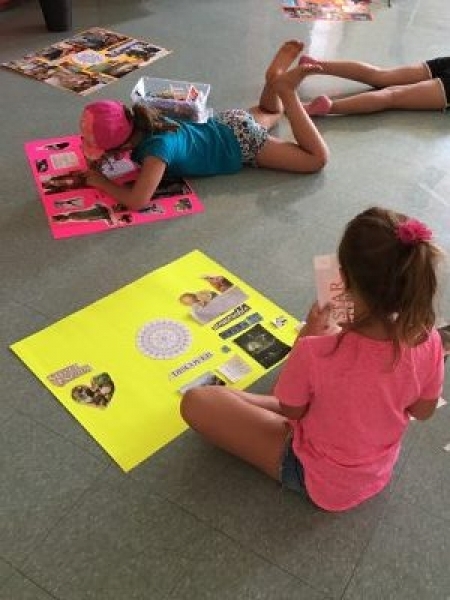 Students learn how to bring awareness to sensations, emotions, and thoughts. 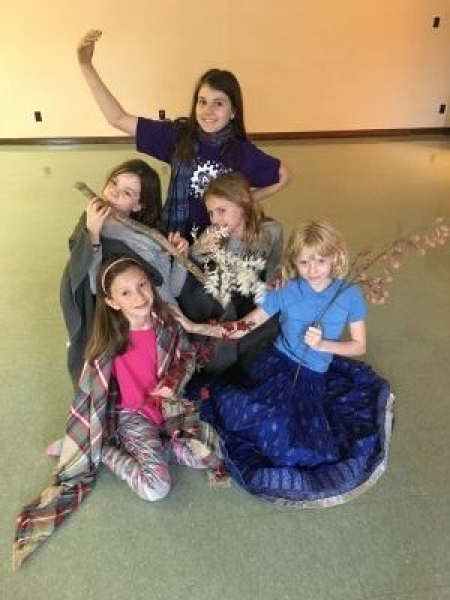 Kids Yoga is a heart-centred, nurturing, and safe environment for young girls (age 9 – 11) to learn about, appreciate and honour the ancient practice of yoga and meditation. Struggling with everyday stress and fatigue, limited mobility, living with a concussion or chronic condition that impacts the quality of your life? 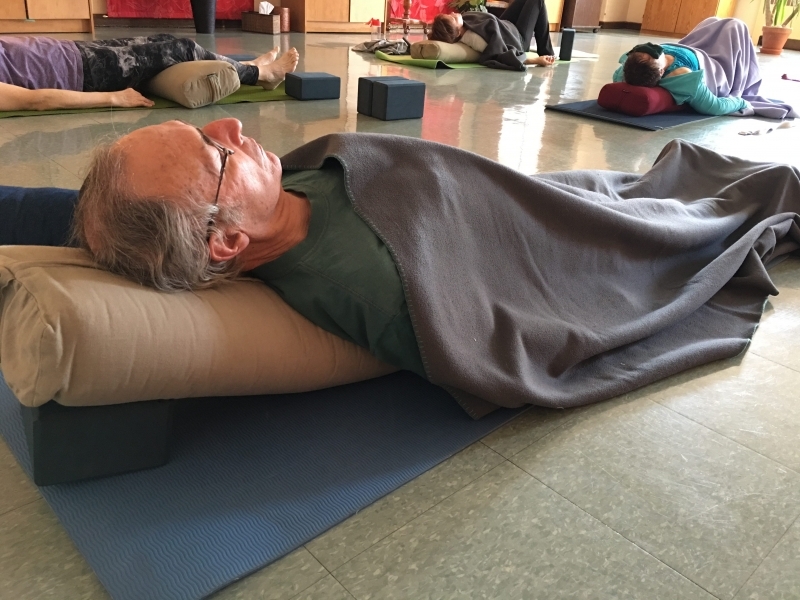 This profound and yet subtle practice, with physiological healing benefits, works ‘magically’ by using blankets, bolsters, blocks and straps to open up the body. Divine Sleep Yoga Nidra also compliments in a psychological way. Guided visualization and meditation help to release emotional tension and unravel old habitual patterns of being.